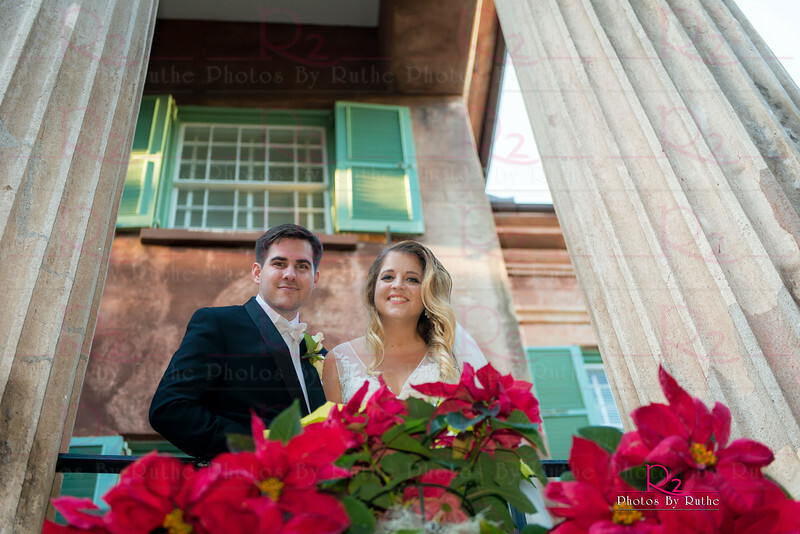 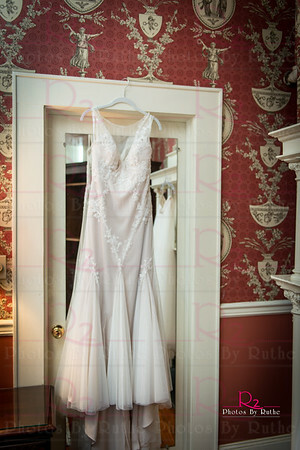 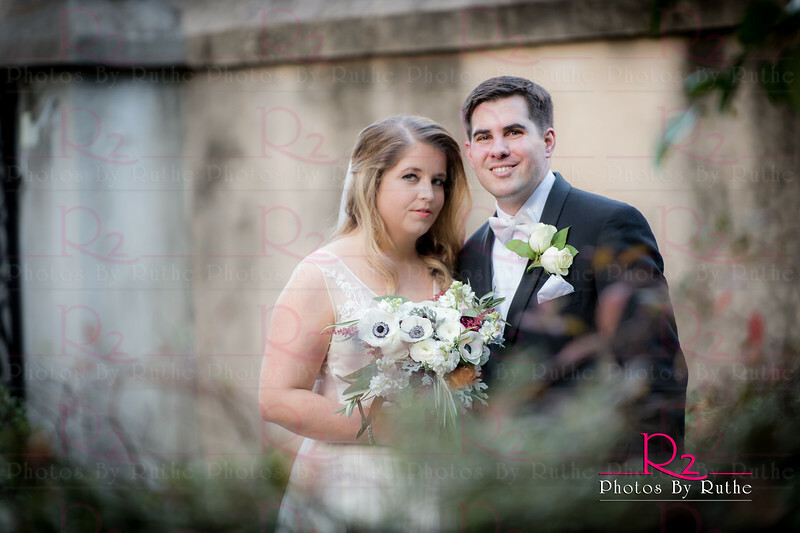 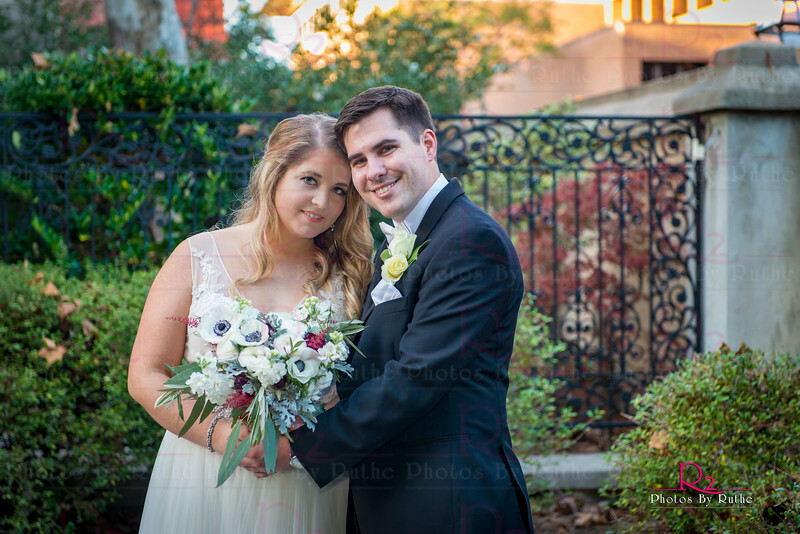 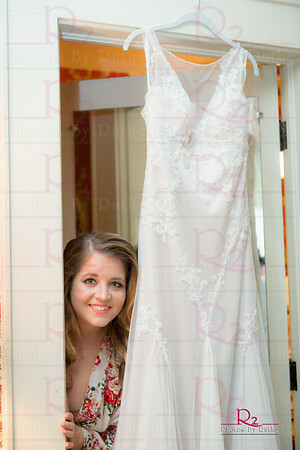 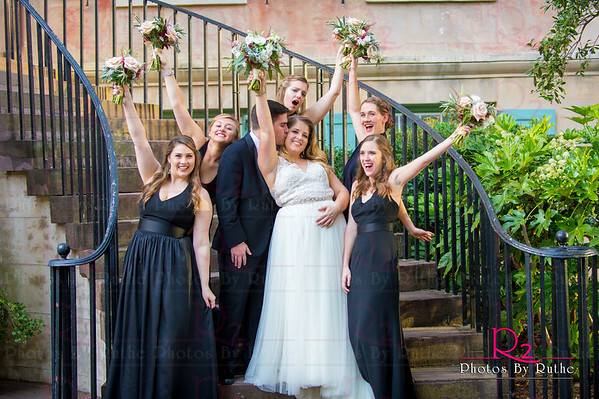 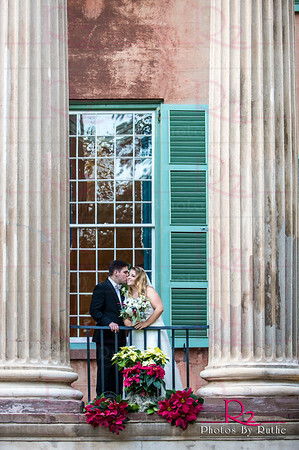 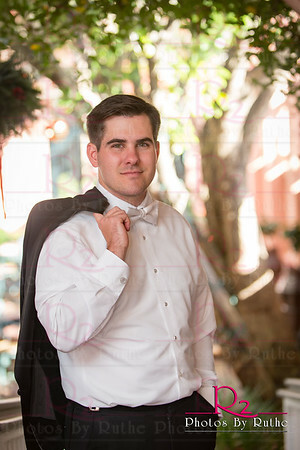 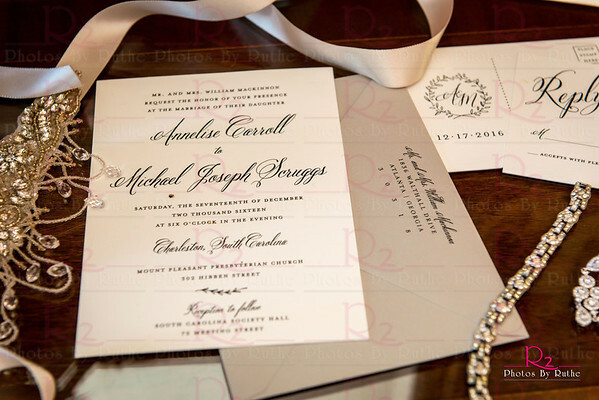 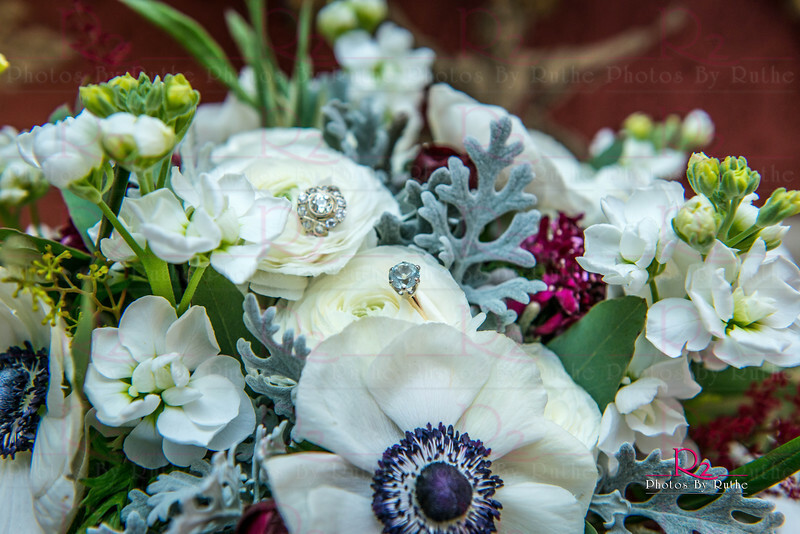 Beautiful Charleston South Carolina was the setting for Annelise McKinnon and Michael Scruggs wedding. 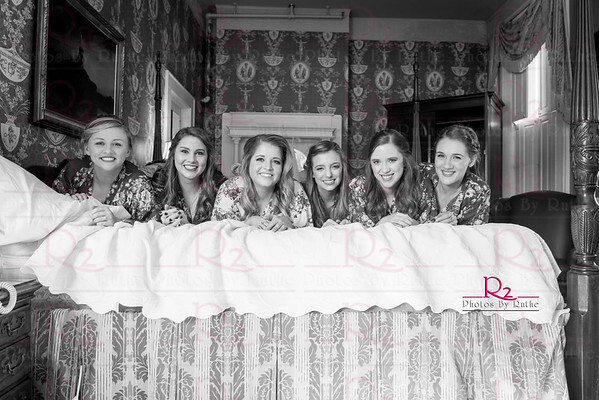 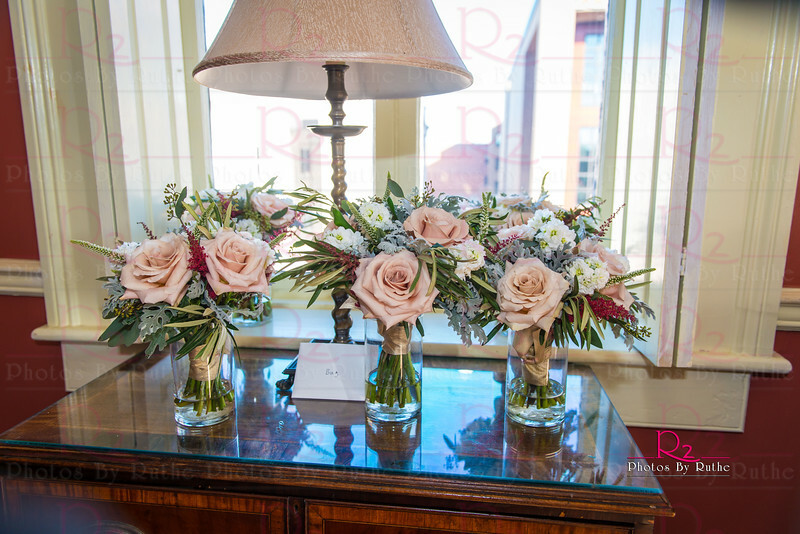 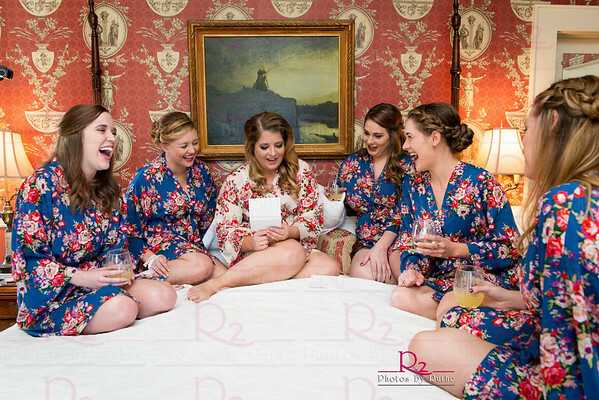 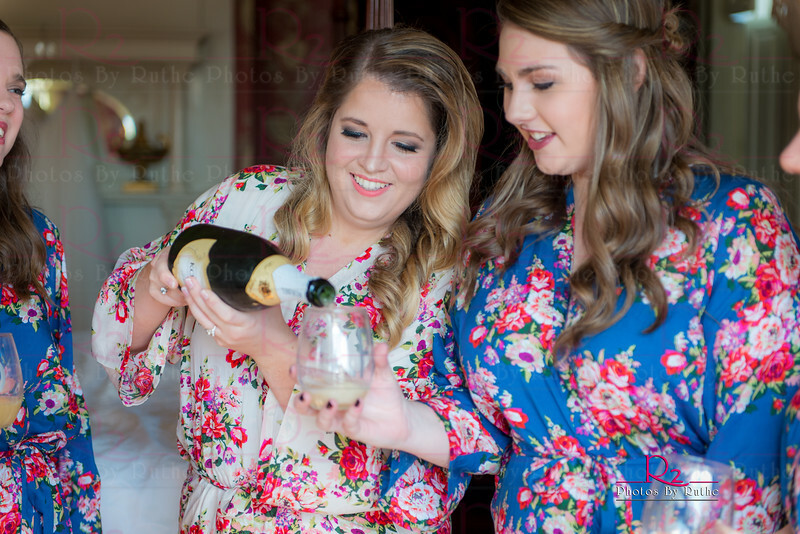 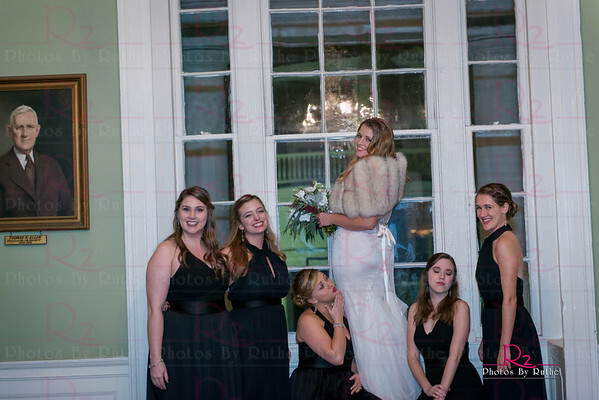 Beginning at the historic Meeting Street Inn, the Bridal Party gathered to get ready for the big day. 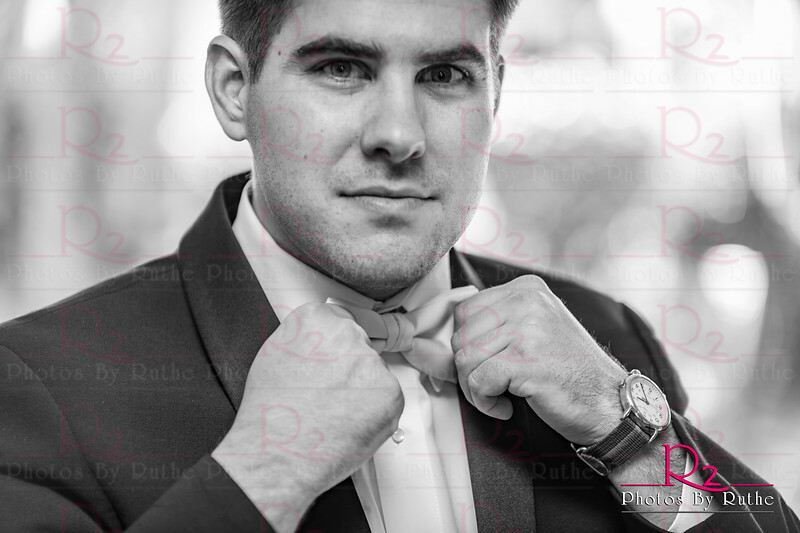 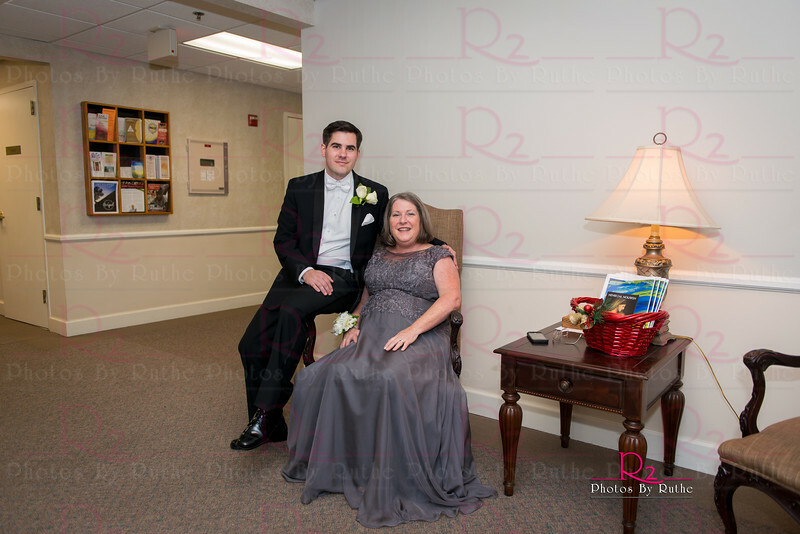 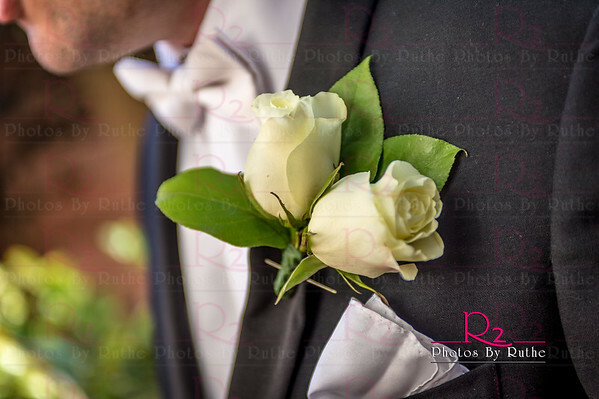 The weather was picture perfect and everyone looked amazing in their black dresses and tuxedos. 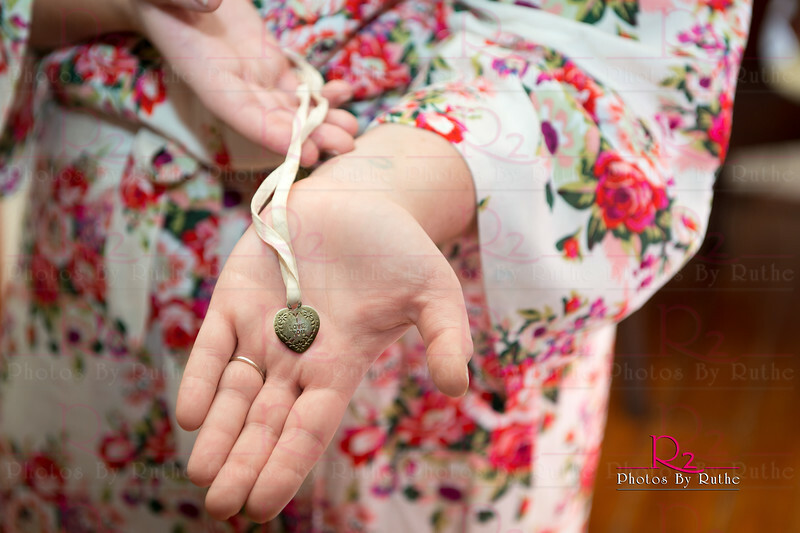 Married on the Anniversary of the Bride's Grandparents wedding, the Bride carried a token of theirs on her bouquet , made by Frampton's Flowers on Wentworth. 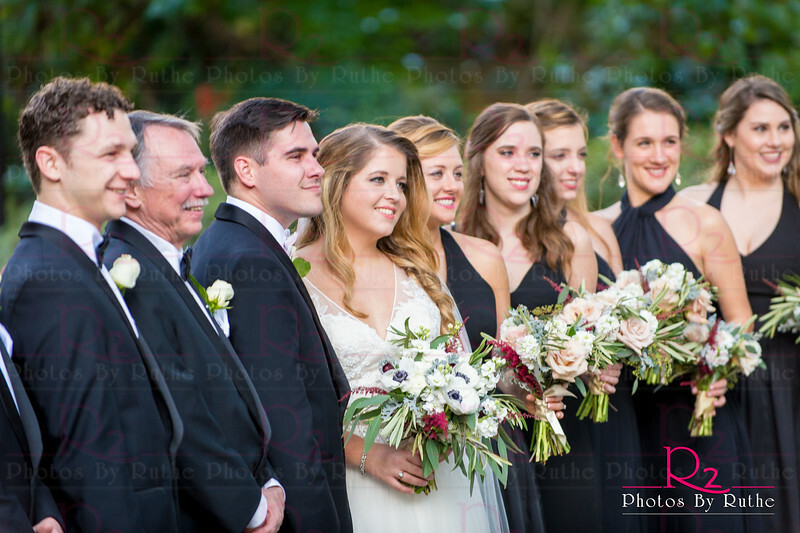 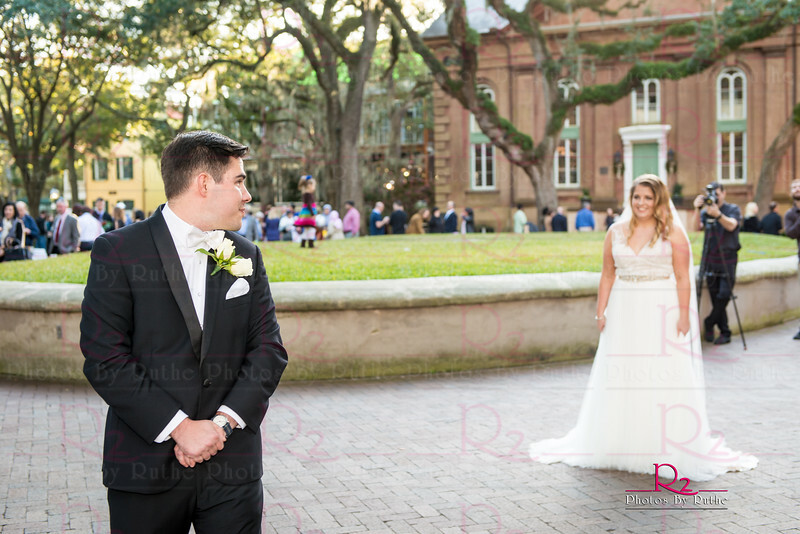 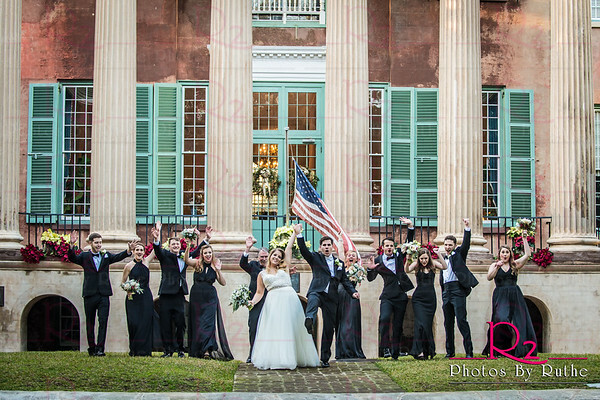 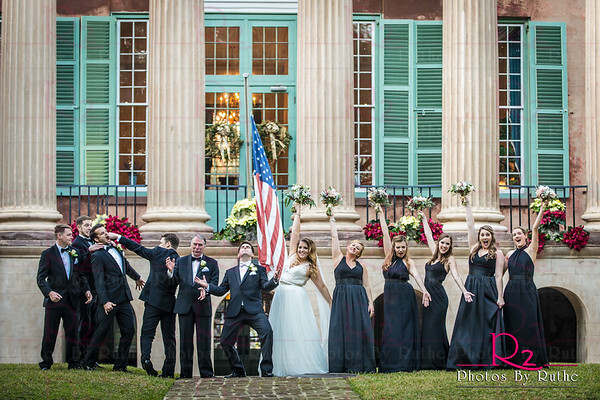 Everyone gathered at the College of Charleston cistern for the First Look and formal photos. 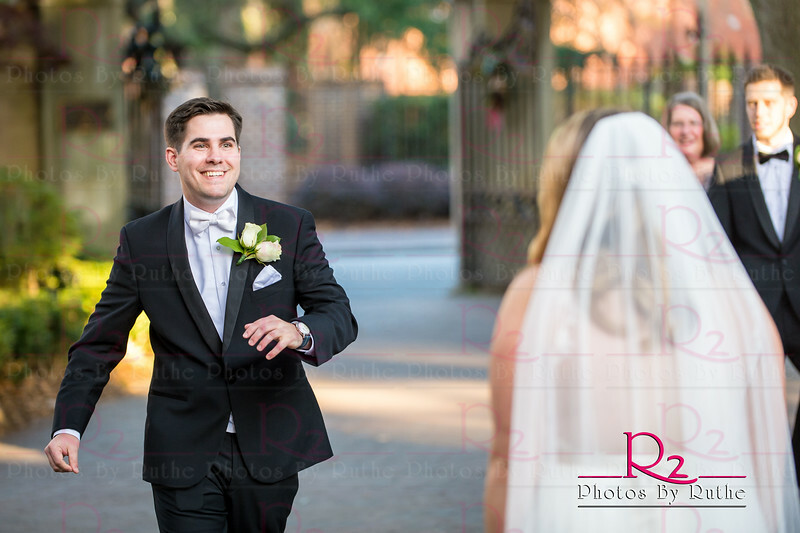 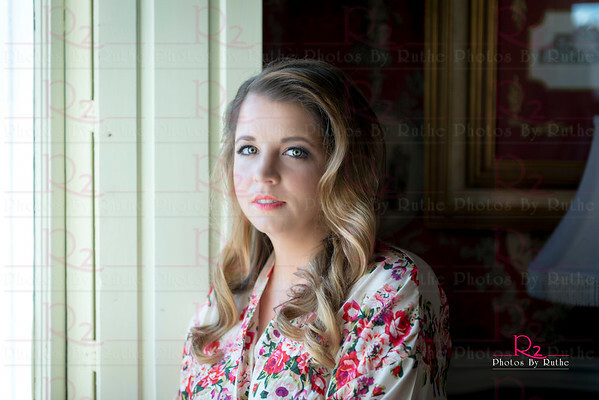 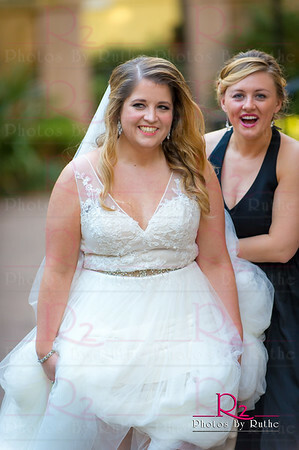 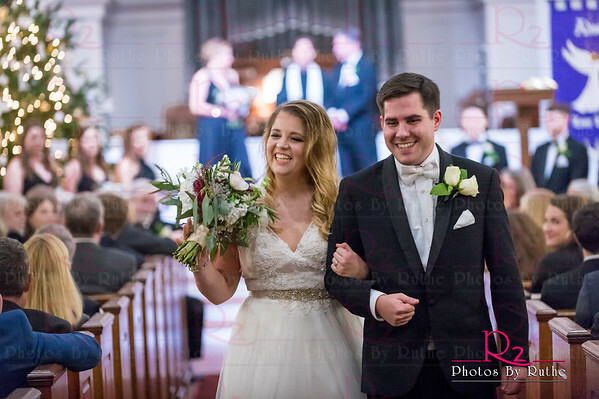 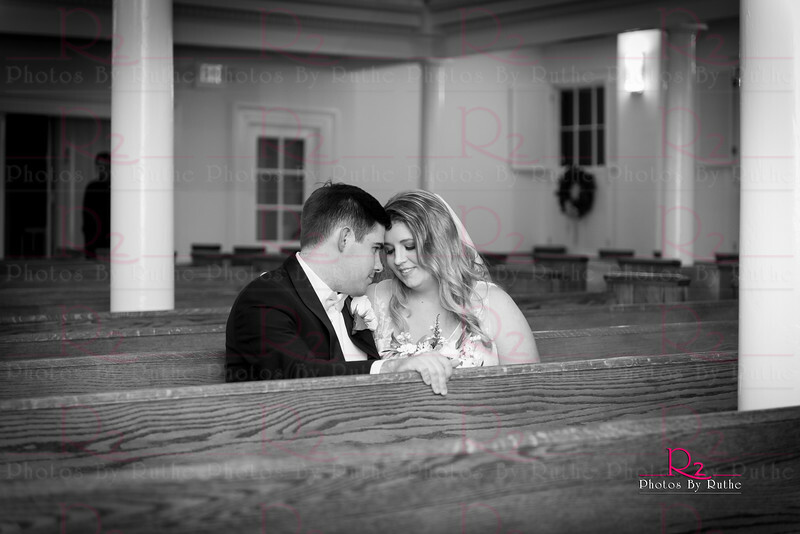 Annelise was glowing as Michael turned around to see his beautiful bride for the first time. 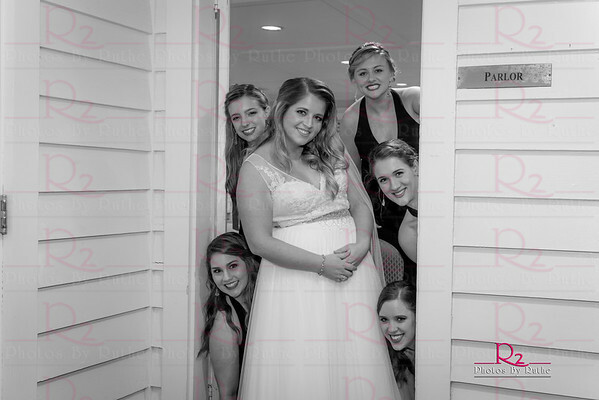 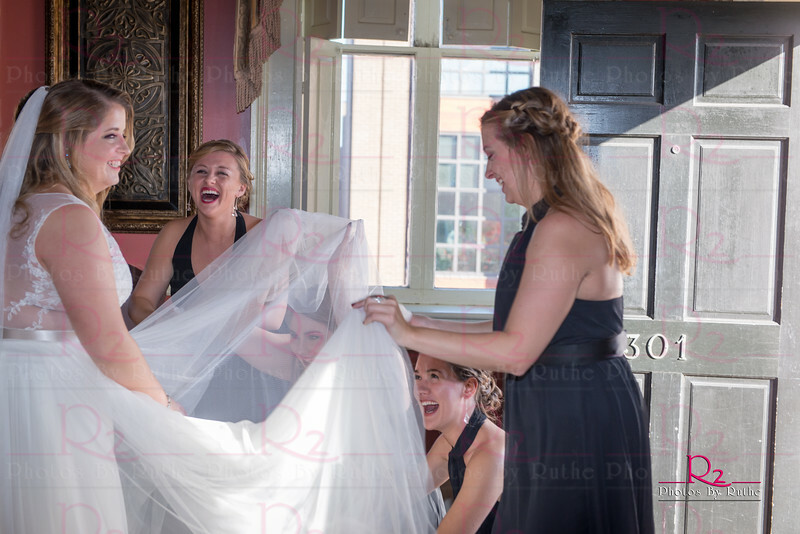 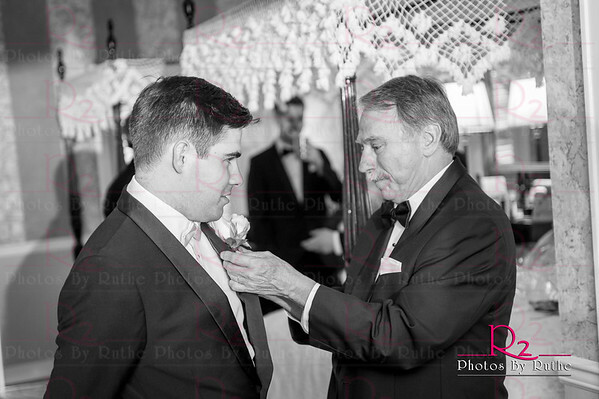 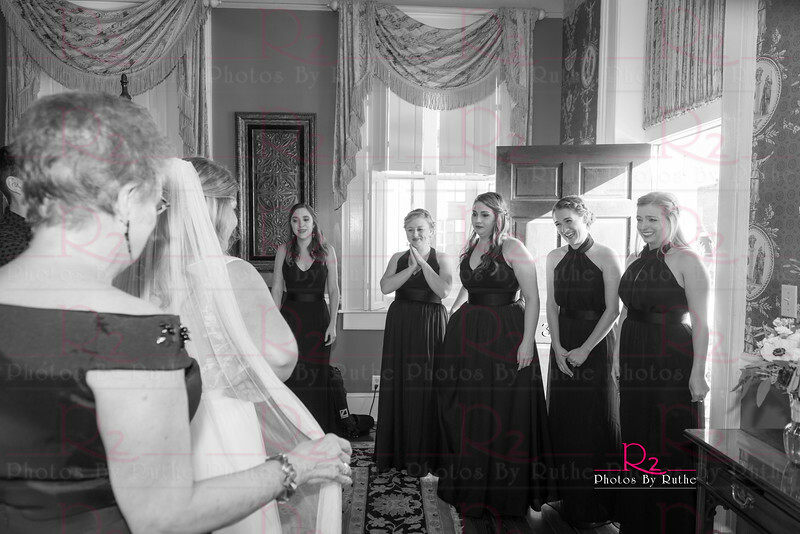 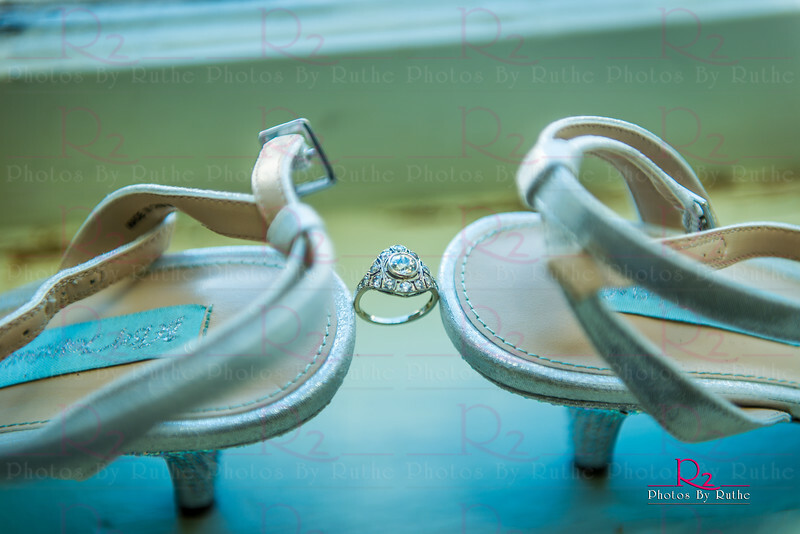 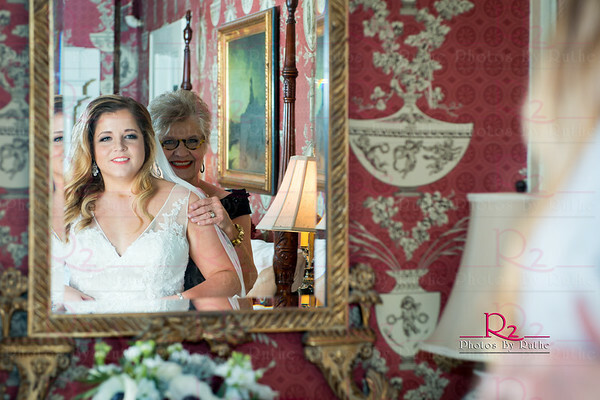 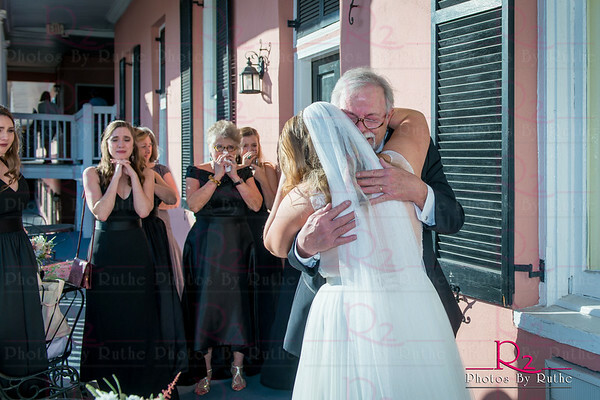 There were tears and laughter as the Bridal Party and parents looked on at the sweet moment. 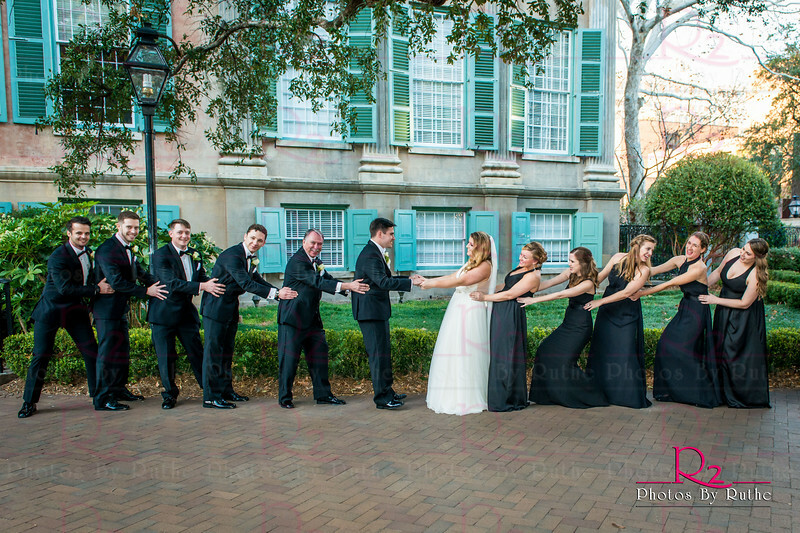 No one even noticed the CoC Graduation Reception going on at the same time! 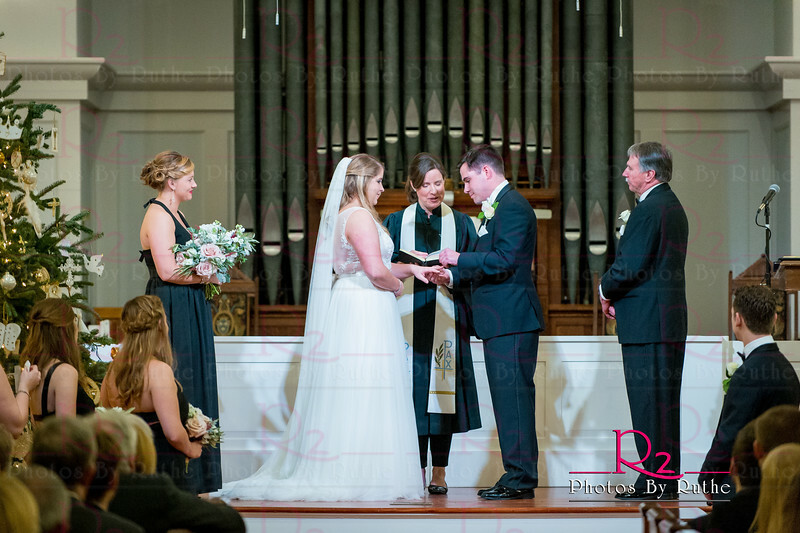 Then it was on to the Mount Pleasant Presbyterian Church for a solemn and meaningful ceremony. 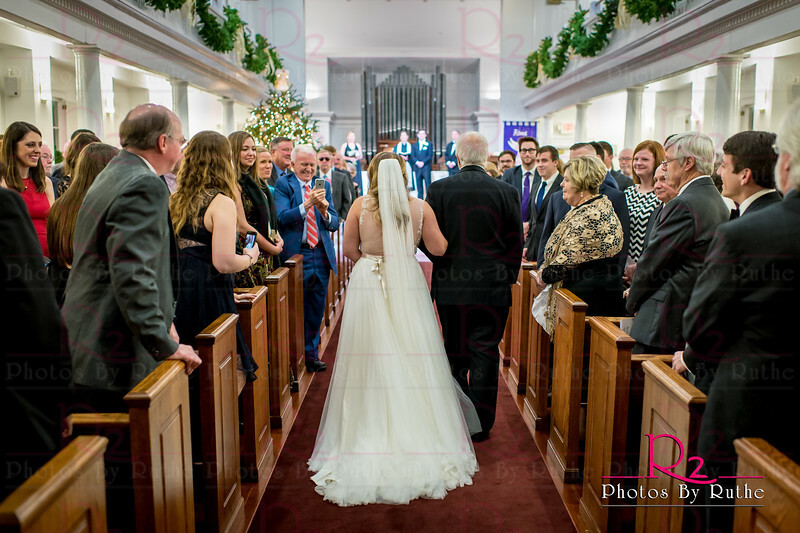 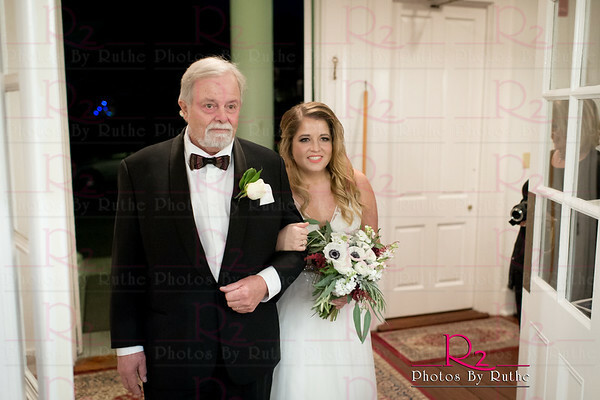 Escorted down the isle by her Father, Bill, the Bride seemed to float on air. 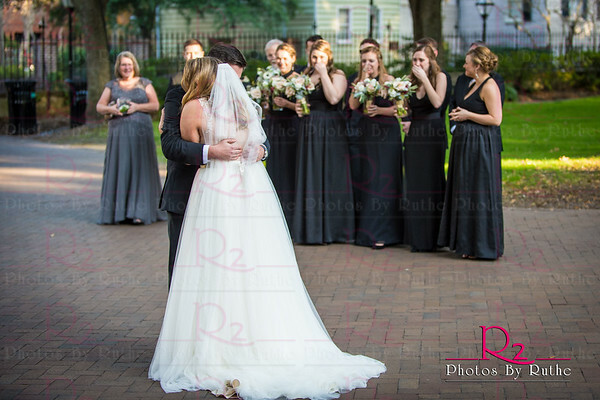 As the new couple said their vows, you could feel the love they had for each other. 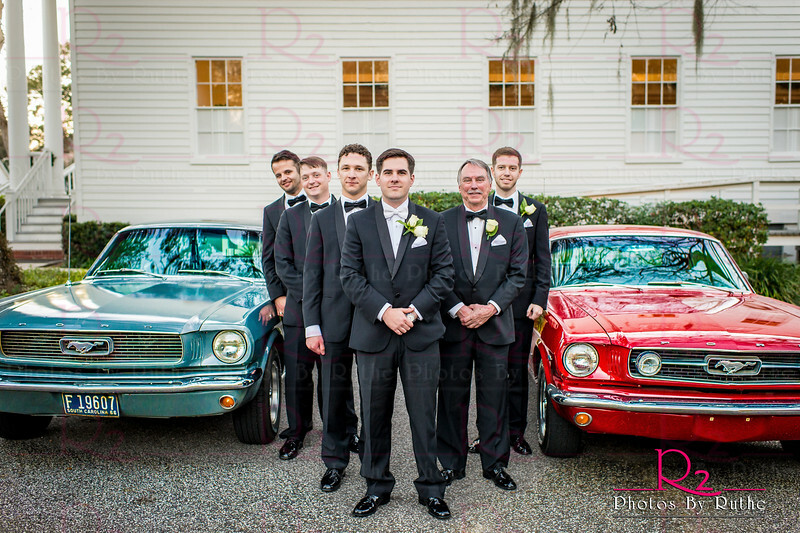 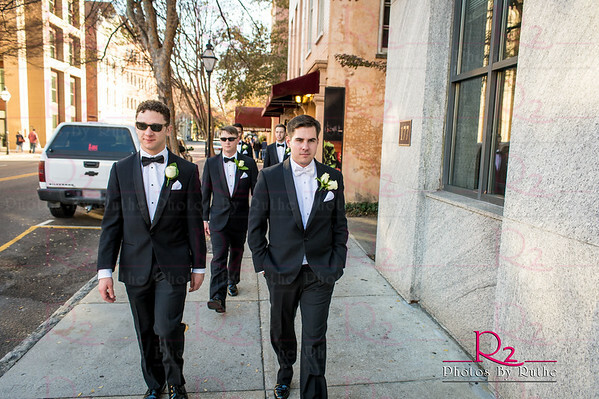 Arriving by way of the Groom's classic Ford Mustang at Society Hall in downtown Charleston, the party was on! 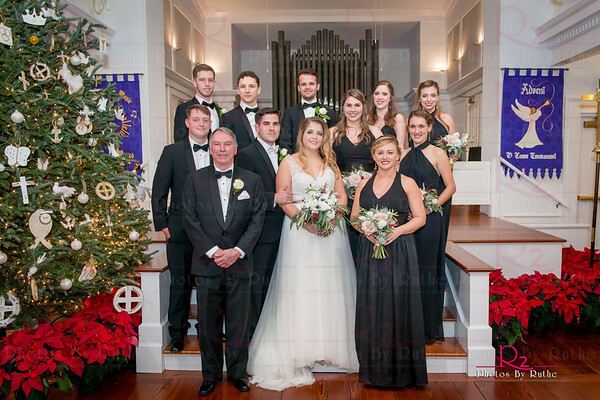 With flowers from Frampton's, Maggie Hancock created a stunning backdrop for a wonderful evening of family and friends. 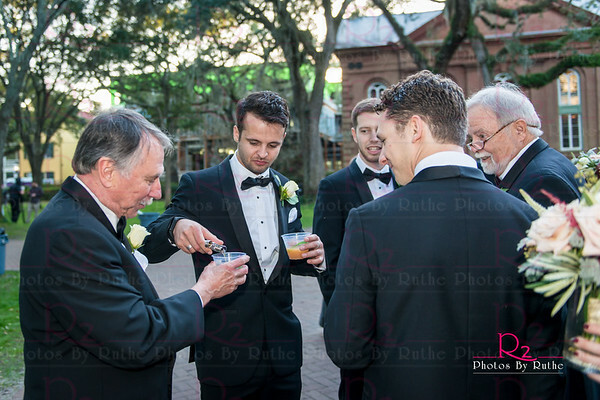 The bar poured handcrafted soda cocktails and the Vistas Band rocked the dance floor all night long. 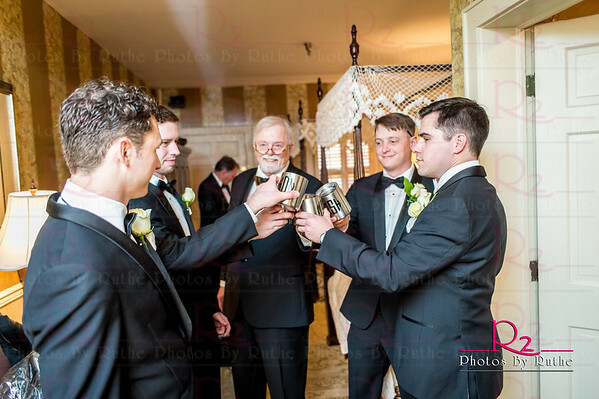 Bill McKinnon provided several laughs during his toast to the new couple and everyone had a blast with the party hats that appeared later in the evening. 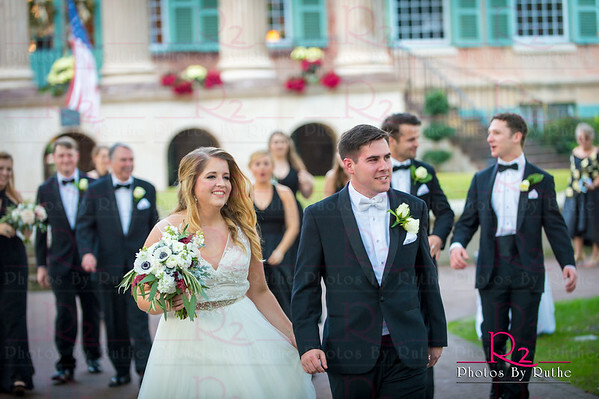 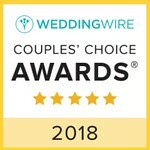 The cheers from family and guests could be heard for blocks as the happy couple departed the reception in a pedicab from Charleston Rickshaw Company. 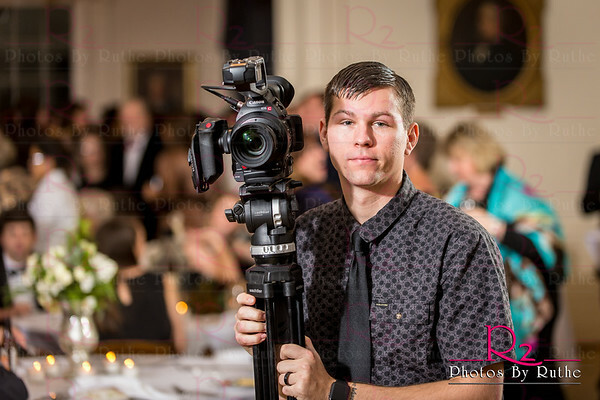 The entire day was captured by Matt Suchodolski and his crew at Paragon Filmworks for a treasured keepsake. 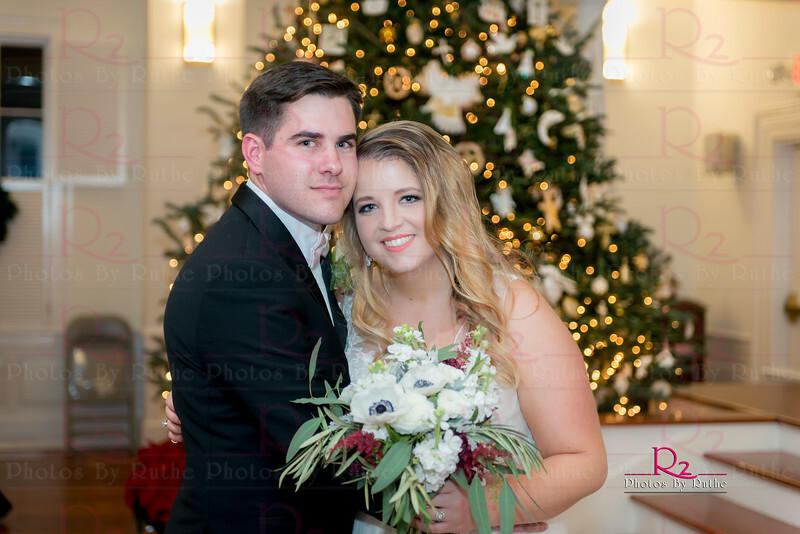 Best Wishes for a lifetime of happiness and joy to Annelise and Michael.